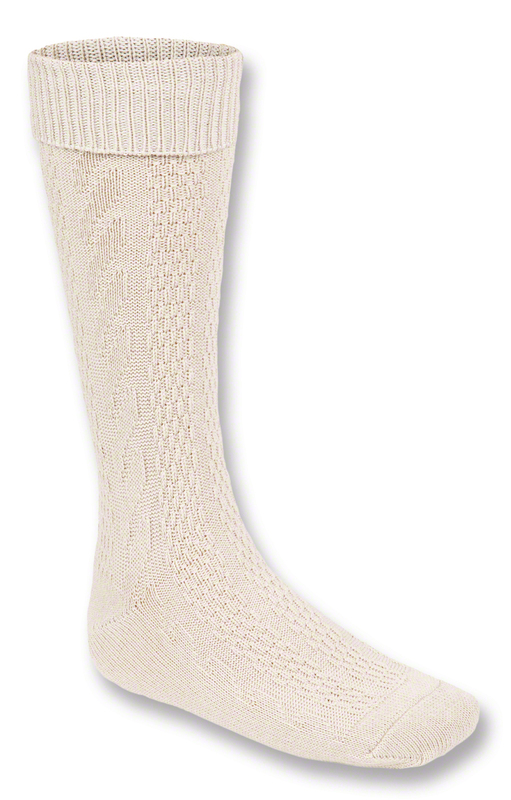 Classic women's knee socks in beige. These warm and comfortable socks for women are just what you need so that you can wear traditional bavarian dress in winter as well as in summer. Their knee length height are the perfect length to complement your dirndl, ensuring your legs won't freeze on a cold winter's day. Their classic white colour will go with any dirndl and they will keep your feet toasty warm as well as making your outfit look complete. zijn kwalitatief niet heel geweldig maar ik hoef ze ook niet iedere dag aan.